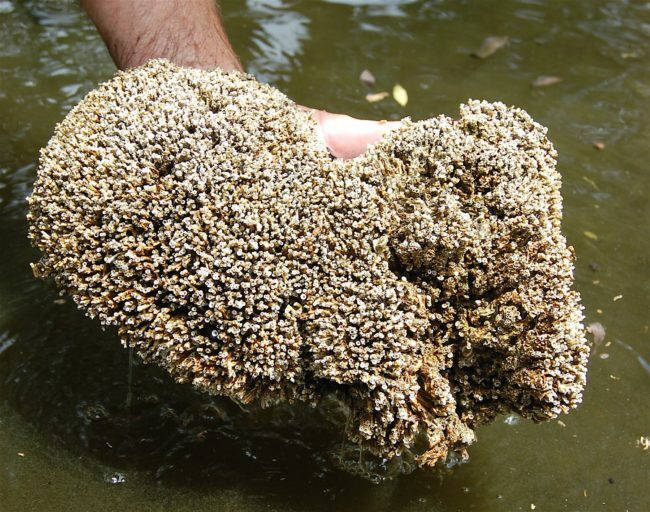 A highly invasive ‘ecosystem engineer’ is gaining ground at Zandvlei Estuary in Cape Town, a study linked to the SeaKeys project has shown. Over a period of 25 years the alien reef-building polychaete Ficopomatus enigmatus (AKA the Australian tubeworm) population has quadrupled its population size in one of the City’s major estuaries, according to the study published in the Journal of Estuarine, Coastal and Shelf Science. Zandvlei, a small urban estuary in Cape Town, is a temporarily open/closed system that has been highly modified through human activities – light industry, housing, agriculture, forestry, conservation, and commerce. The invasive reef-building polychaete which is making its presence felt in an already complex system is originally from Australia and has now been spread to several countries around the world to colonise brackish waters. According to literature quoted in the study, the Australian tubeworm makes large reefs which attach to hard substrata. These reefs consist of a dense network of calcareous tubes, and neighbouring clumps of similar size may eventually join together to form larger platforms several meters in diameter. According to Prof Charlie Griffiths co-author on the study, ‘ecosystem engineers’ are organisms that transform habitats, thus making it suitable for a whole new animal community. “This reef worm similarly transforms smooth concrete into a complex reef full of cracks and crevices which supports a whole rich community of invertebrates. This completely changes the fauna of the Zandvlei [particularly along the banks],” he told the FBIP. The development of concrete walls along the banks of the Zandvlei in the early 1960s and the excavation of concrete-walled canals of the ‘Marina da Gama’ development in the 1970s were game changers in favour of the alien reef-building polychaete – large areas with hard surfaces were created within a system which was previously made up of mostly soft sand and sediments. “This facilitated the invasion and expansion F. enigmaticus, which was previously absent, or at least undetected in the system, as there had been little to no hard substratum available there for attachment,” the study said. Griffiths, who is affiliated with the DST-NRF Centre of Excellence for Invasion Biology, said in an earlier article that F. enigmaticus abundance had increased greatly over the past decades, due both to an increase in the total area colonised and standing stock per square meter. “Since the reefs support a greater biomass of the animal community than the neighbouring sandy areas, the total invertebrate biomass in the estuary is estimated to have increased by almost 200 fold from 1942 to 2012,” he said. 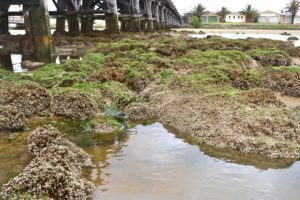 “This worm now controls almost the entire animal community in this and other nearby estuaries,” Griffiths said, highlighting the major impact that alien species can have on invaded systems. The study suggested that precautionary measures be taken to prevent or decrease the spread of the highly invasive alien species. The study formed part of the Foundational Biodiversity Information Programme’s (FBIP) SeaKeys project – a large collaboration that aims to collate and increase marine biodiversity information in service of society. The FBIP is joint initiative of the Department of Science of Technology (DST), the National Research Foundation (NRF) and SANBI.